It's a green scene! 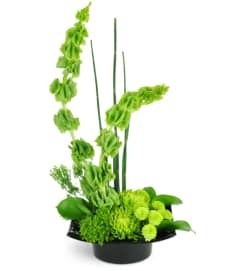 They'll love being in a limelight with this stunning, chic display! 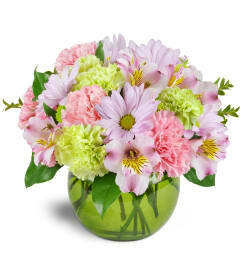 To say Congrats, Get Well, and more, it's a fantastic, serene gift! 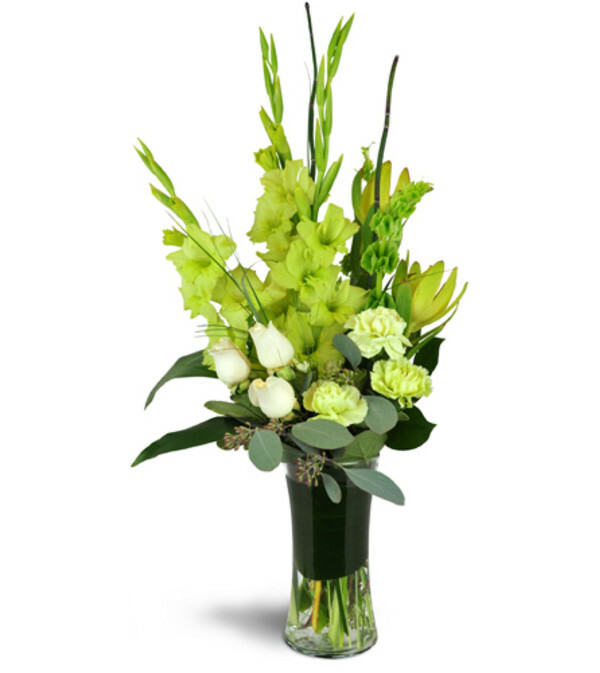 Gladiolus, carnations, Bells of Ireland, roses, protea, and more are arranged in a tall clear glass gathering vase for a super elegant look! Did terrific job, delivery and flowers. Cindy, the owner, is an angel. 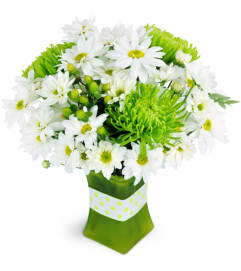 Great service, beutifull flowers, personalize attention to details. Floral Insight is a Lovingly Florist in Houston. Buying local matters. Discover how Lovingly supports local florists. Copyrighted images herein are used with permission by Floral Insight.